The Colombian police force has been experimenting with training rodents to detect explosives in minefields. The process would take advantage of rat's acute sense of smell and low weight, which would allow them to find mines without activating them. 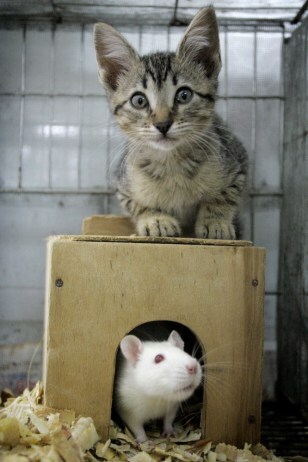 The cats are included in the training to help rats become used to possible predators.